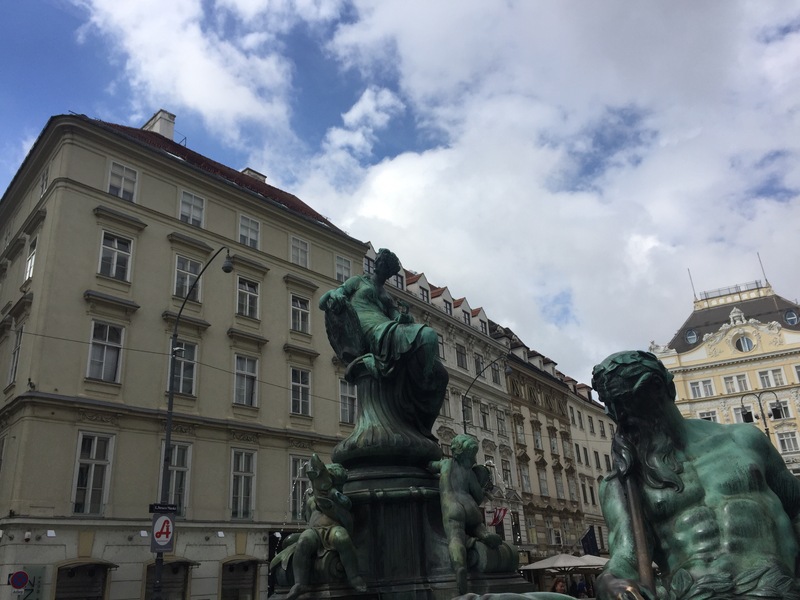 Vienna is a beautiful city. What else is one supposed to say? It’s true, after all. The architecture of the flats and churches alike is enough to occupy me for days. In fact, I spent three days walking the city, north-to-south and east-to-west. Schloss Belvedere and Schonbrunn Place are both immaculate and massive in scale – both in their physical buildings and in the tended gardens on site. The old Danube path, now a canal, cuts between districts one and two, and I was situated in the second district for four nights at a cheap hotel. From there, I used the U-Bahn public transit to make my way from place to place when I got tired of walking everywhere (as tends to happen after covering 15 kilometers or so of the same general vicinities). The city that is now Vienna was at one time a Roman outpost – a military camp, essentially. It protected the Roman interior from the Germanic tribes across the Danube. You can see a few bits (and I mean a few bits) of some old Roman buildings in the center of the city, below street level, opened up to observers. It’s interesting, but I’ve never really gotten much out of the old Roman buildings. I love the history and stories of Ancient Rome, but the sense of gravity is somewhat reduced when there are hordes of tourists waddling by in trains led by sign-holding guides. Better suited to my tastes were the side streets, apart from the central shopping districts (again, I don’t understand shopping while on holiday). I felt an unexplainable and deep-rooted pull to Freud’s house, west of city-center. I grazed the massive gardens at Schloss Belvedere and became lost in the forty-foot hedges at Schonbrunn. (At the latter, an hour’s walk took me through perhaps 1/10th of the grounds – most impressive!). On my last night in Vienna, I took the U-Bahn down to a southwestern portion of the city to the Haydn Kino, an English-language theater that dates to about a hundred years ago. The marble staircase leading down into the bowels of the old building lead to cinemas and popcorn (which I had for dinner). The church next door to the theater features a frozen-in-carbonite statue of Hayden in front of the church where I’m assuming he directed music (built 17th century). It was a sight to behold. The movie wasn’t bad, either. 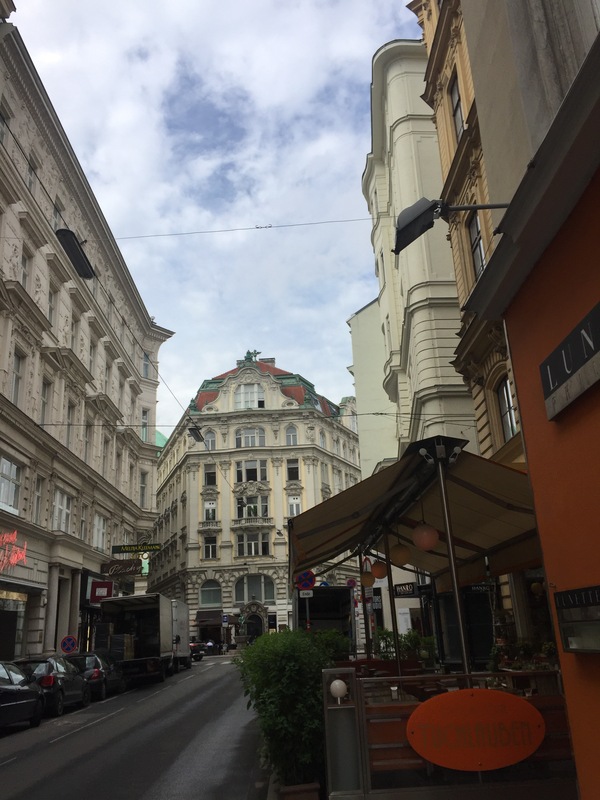 The cost of Vienna is a drawback for me, as it is in many cities. 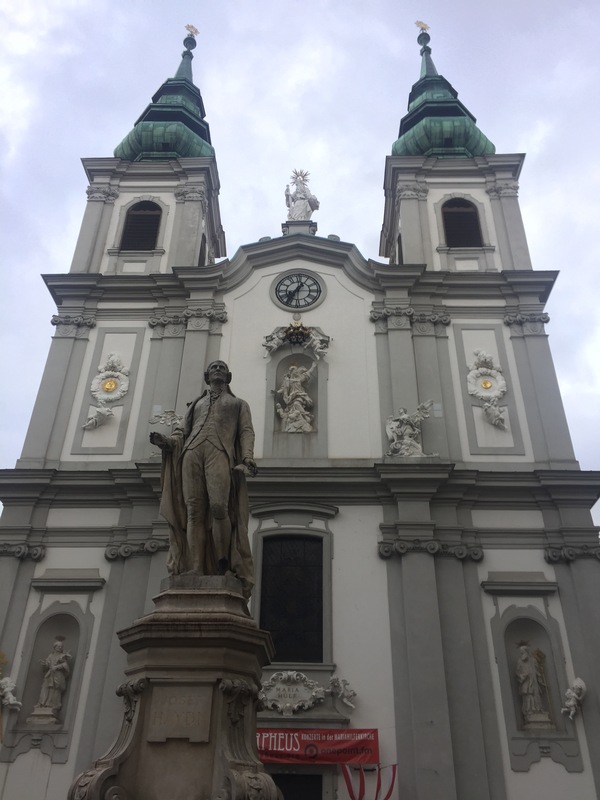 The architecture and churches are similar to those found in Leipzig, a city that comes at a much better cost… I’m glad to have visited Vienna, but I feel no pull to return unless I’m with someone else who hasn’t seen it. I’ll take Leipzig. Be sure to visit the main control page for 2017 to see all of my dispatches from the field. This entry was posted in Travelogue, Travelogue 2017, Travels and tagged backpacking, cheap travel, cinema in europe, Culture, expensive cities, Freud, Haydn, kino, Slow Travel, travel, Vienna, wandering. Bookmark the permalink. The architecture looks pretty amazing! Oh, it absolutely is – it’s stunning. Oh man I could fill up a whole sketchbook in a place like that. Unless you’re there specifically for the two palaces, save your money and go to Leipzig instead!